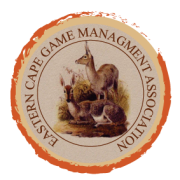 Karoo Taxidermy is a progressive South African Taxidermy company that specialises in delivering high quality trophies at realistic prices. We provide a complete, personalised taxidermy service and facilitate affordable shipping to worldwide destinations. We have rapidly established ourselves as one of the largest taxidermy companies in South Africa. 90% of all our trophies are exported. Of these, 60% are sent to the USA, 30% sent to Europe and the remaining 10% are sent to the rest of the world. A quick turnaround time, combined with quality workmanship and in-depth industry knowledge makes us the leaders in our field.